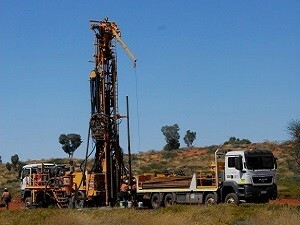 Greatland Gold announced a new regional exploration programme within its 100% owned Paterson project in Western Australia. The new programme will initially focus on the Scallywag target and will be conducted in parallel to the two previously announced programmes at Havieron and Black Hills. The Scallywag target, located within the Havieron licence, consists of several magnetic anomalies over a large area of approximately 6km x 4km, each with the potential to host gold and/or copper mineralisation. Recent drilling by the Company at the Havieron target, returned excellent results including 121m at 2.93g/t gold and 0.23% copper from 497m with peak gold of 137.69g/t and copper to 4.11%. Results of MMI sampling will be reviewed in conjunction with detailed ground gravity and airborne magnetic data to determine the most prospective areas for a maiden drilling program at Scallywag. “The Paterson region remains relatively underexplored and we believe that it is highly prospective for large mineralised systems. Our licences host multiple large magnetic anomalies, similar in scale and structure to Havieron, and, over the course of the next twelve months, we intend to pursue a systematic programme of regional exploration that will test a number of these additional regional targets,” Gervaise Heddle, Chief Executive Officer said.